2018 Kia Sorento – What can we expect from 2018 Kia Sorento? Well, it seems that the new Kia offers something a little different than its predecessor. In fact, it is designed to be bigger than the typical five-passenger midsize crossover SUV, but it is not as large as a seven row family hauler. It also has distinctive appeal for those who are not satisfied with some common offerings. 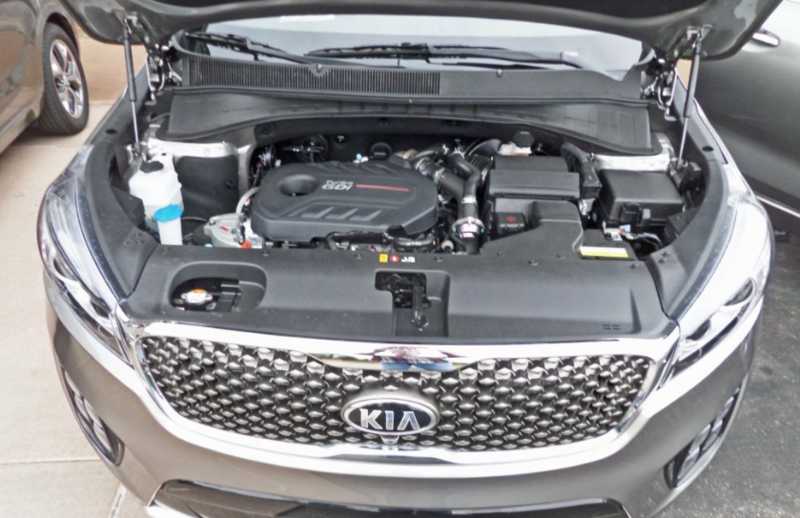 Read our review here and learn whether the new Kia Sorento is your perfect choice. What is New for 2018 Kia Sorento? 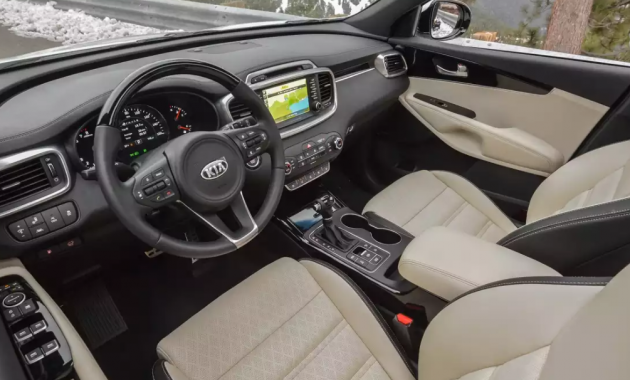 The new 2018 Kia Sorento comes with some minor adjustments, but you can also expect some standard features available. The car is available in five and seven passenger configurations. It also offers more practicality and space than other five-seat cars that are available out there. 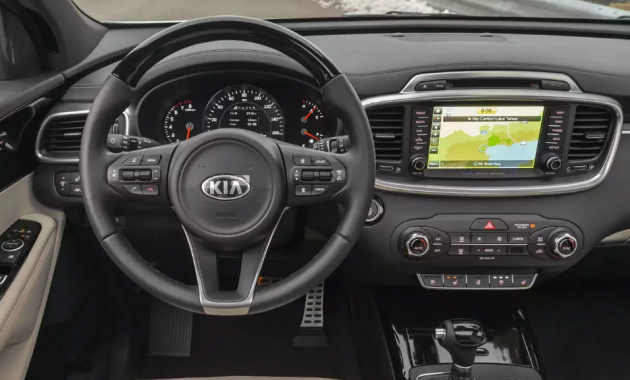 Another good thing is that the new Kia Sorento is also less expensive and less cumbersome to drive than other large cars available out there. There is more than the standard feature as buyers can also get a five-year limited and 10-year powertrain warranties. Note that the new Kia Sorento is not for everyone as it is more expensive than a typical five-passenger crossover. Another consideration is that it is not as commodious as a large three-row crossover SUV. However, if you are looking for a car that can accommodate your needs, then buying 2018 Kia Sorento would be a great choice. There are five trims available in which you can choose L, EX, LX, SX, and SX Limited. It is also available in three engines. The LX and L trims are equipped with a 2.4-liter four cylinder engine which can deliver 185 horsepower. The EX trim comes with a standard 2.0-liter turbocharged engine. The last choice is a 3.3-liter V6 engine which is optional on the EX and LX. However, the engine comes standard on the SX limited and SX. The good news is that each engine is equipped with a six-speed automatic transmission. While the Front-wheel is standard, the L trim can be ordered with all-wheel drive. The base model comes with some standard features such as selectable drive modes, a rearview camera, 17-inch alloy wheels, Bluetooth, and a height adjustable driver seat. The LX trim adds other features such as two extra USB ports, roof sails, and a noise-reducing windshield. If you are looking for better features, then you can consider choosing the EX which comes with the content of convenient package as standard. It also adds some features such as power folding mirrors, 18-inch wheels, and an auto dimming rearview mirror. The top trim level comes with some advanced features such as heated second row seats, upgraded leather upholstery, and 19-inch chrome-clad wheels. Don’t forget that the advanced technology package will be included too. With its starting price of $25,900, there is no denying that the new Kia Sorento of the least expensive midsize SUVs that we have tested so far. As for its release date, 2018 Kia Sorento is expected to be available in November at the LA auto show.